June 2014 - New York - Brush off that grave dust and gather around out under the moonlight as Mezco reveals a new Living Dead Dolls Sumer Exclusive: 16th Anniversary White Posey. 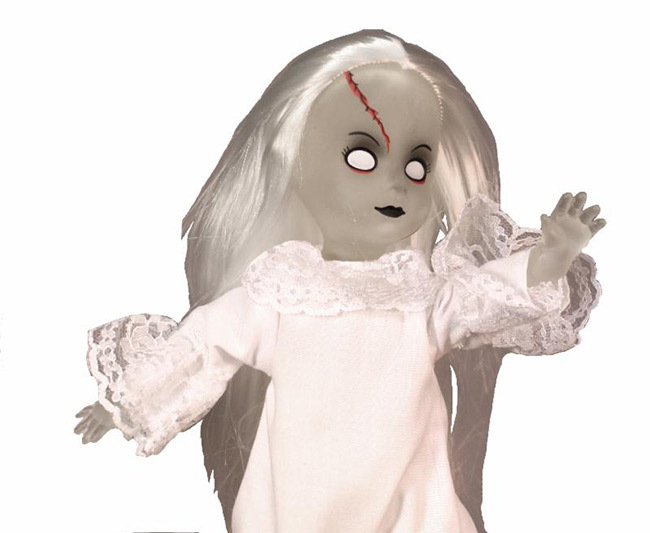 Just in time for her 16th birthday, Posey, one of the most popular Living Dead Dolls, gets a makeover with a new ghostly white look. Standing 10 inches tall, she comes complete with a white rose and a special poly resin tombstone. Posey come packaged in her own coffin with death certificate. February 2014 - New York - The Living Dead Dolls, a proprietary brand of Mezco Toyz, is approaching a milestone that makes other toy lines green with envy; The Living Dead Dolls are set to become the world's Longest Continually Produced Series Of Collectible Horror Themed Dolls. 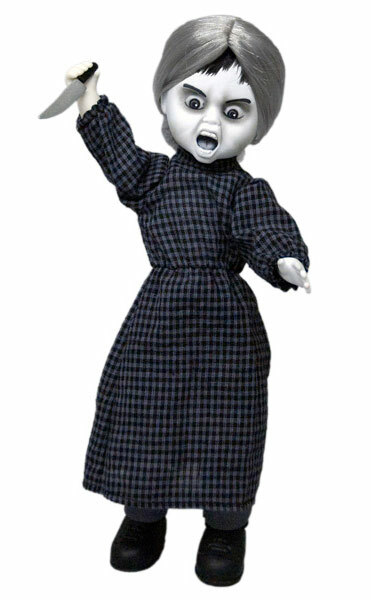 First introduced in 1998, the Living Dead Dolls have seen countless other toy lines come and go. Of all the new toy lines introduced by various companies in 1998 only two others continue to be produced: a talking truck and a talking dinosaur. 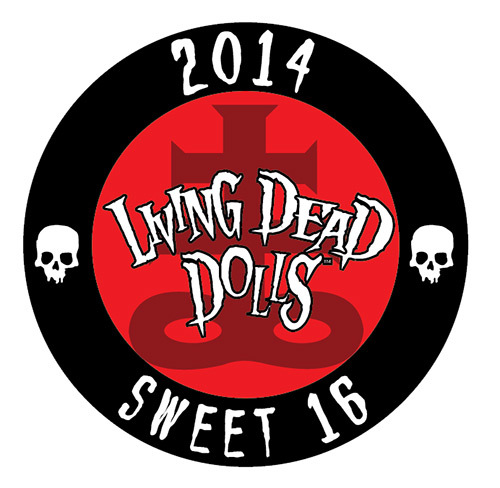 The Living Dead Dolls are the creations of three men: Ed Long, Damien Glonek, and "Mez" Markowitz. * Many more thrills and surprises! New York - November 2013 - Both Krampus fans and Living Dead Dolls collectors are going wild over Living Dead Dolls Presents Krampus! To compliment the three standard colors and the one of a kind Red Krampus, Mezco now proudly reveals the final member of their quintet of holiday terror; the one of a kind Blue Krampus! The one of a kind Blue Krampus has been randomly packed in one of the 333 Holiday Mystery Boxes. Each Holiday Mystery Boxes will contain a full size 10 inch Living Dead Doll or another Mezco item, and one of those boxes contains the one of a kind Blue Krampus! 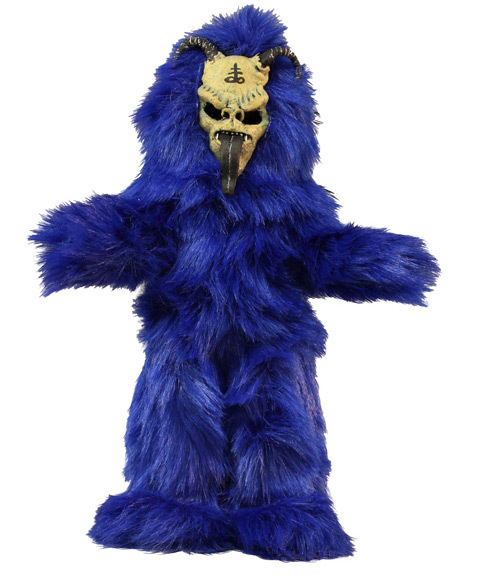 This one-of-a-kind Blue Krampus features an a weathered bone colored mask with vibrant, icy blue fur. He will be randomly packed, in his coffin, in one of the 333 Holiday Mystery Boxes. July 17, 2013 - San Diego CA - As the world's most famous Comic-Con gets underway in San Diego, Mezco Toyz is revealing one of the most terrifying Living Dead Dolls ever: Sadako. 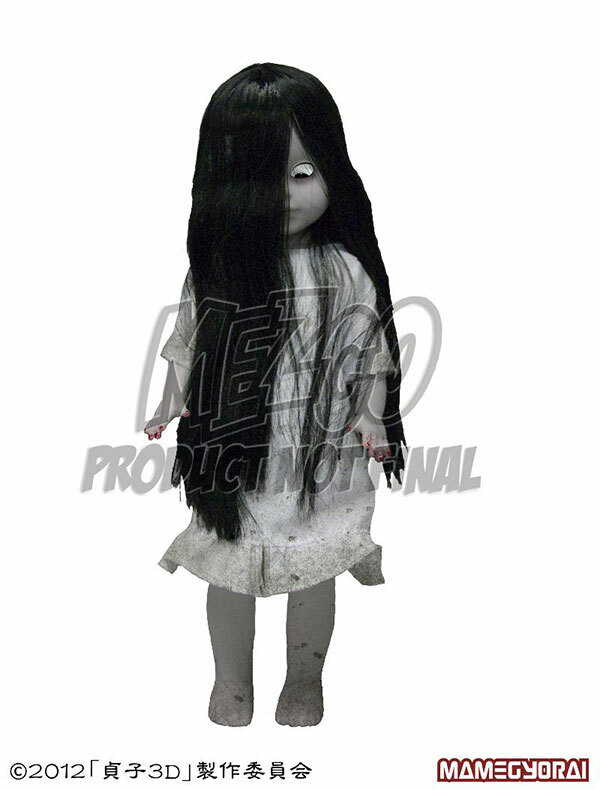 Sadako is an exclusive Living Dead Doll for Mamegyorai in Japan. 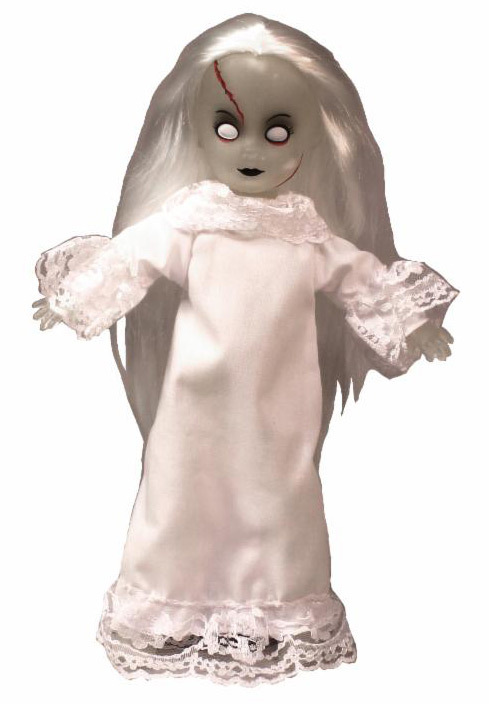 Based on the main character from the immensely popular Japanese film Sadako 3D, this Living Dead Doll features a screen accurate hairstyle, creepily showcasing her ever watchful eye. Sadoko's fingernails are also bloody and caked with mud from her climb out of the well. Sadako stands 10 inches tall and comes complete with real cloth clothing. 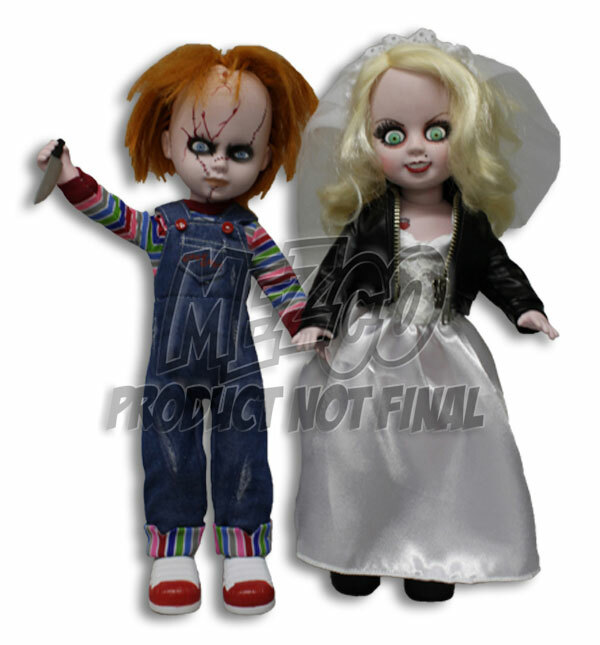 July 17, 2013 - San Diego CA - As the world's most famous Comic-Con gets underway in San Diego, Mezco Toyz is revealing their latest addition to the Living Dead Dolls line: Chucky and Tiffany. Not since Bonnie and Clyde has a couple left such a path of destruction in their wake. "When we released our 1st Chucky Living Dead Doll, he sold out immediately, and fans begged for more Chucky and asked 'Where's Tiffany?'" says Mezco's Mike Drake, "So we knew we had to visit Bride Of Chucky and make the fans happy!" Chucky, the homicidal doll who contains the spirit of Charles Lee Ray, a serial killer better known as "The Lakeshore Strangler", is now joined by his beloved Tiffany, the doll who contains the soul of his longtime paramour, a misguided and equally homicidal aspiring actress. 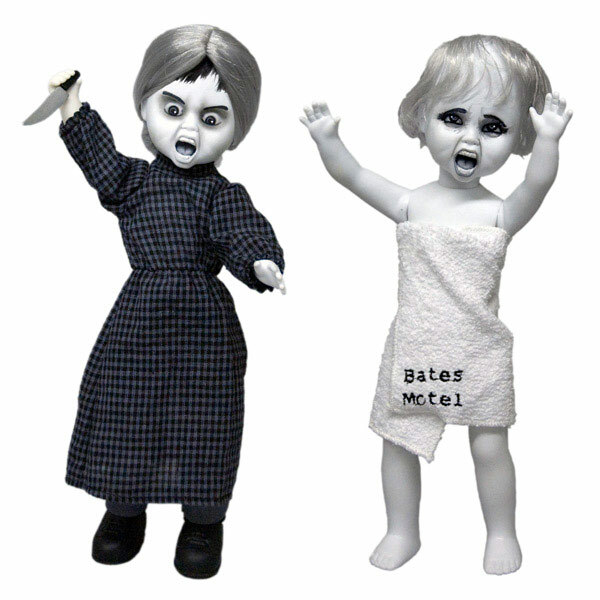 May 2013 - New York - Don't tell Mother, but Mezco has a secret... Psycho's Norman Bates as Mother and Marion are the latest addition to the Living Dead Dolls Presents series. Nominated for a quartet of Academy Awards, the psychological thriller Psycho not only changed the world of horror, but how movies are marketed as well. The "shower scene" has become iconic in pop culture and is often regarded as one of the most terrifying scenes ever filmed. 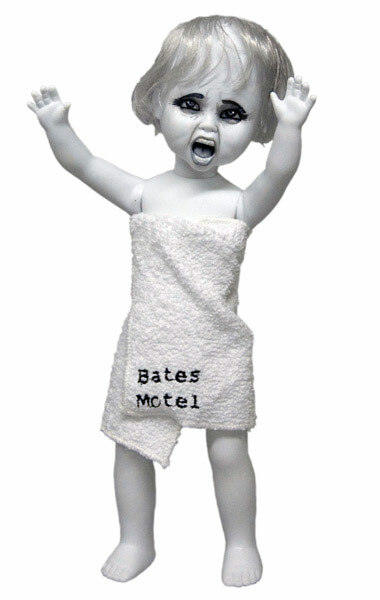 Norman Bates as Mother will come with a removable wig and, just as he did in the film, Norman is wearing pants underneath Mother's dress. As would be expected, a knife is included. July 10, 2012 - Each year the town of Long Beach WA celebrates the birthday of their most unusual native son... Jake The Alligator Man. Jake, who is a resident of the world famous Marsh's Free Museum is known far and wide as one of the finest Alligator-men to ever crawl upon the shores of Washington. During his annual birthday celebration, local residents choose a local maiden to become Jake's bride. They also hold a car show which attracts some of the most amazing custom cars and hot rods in the US. 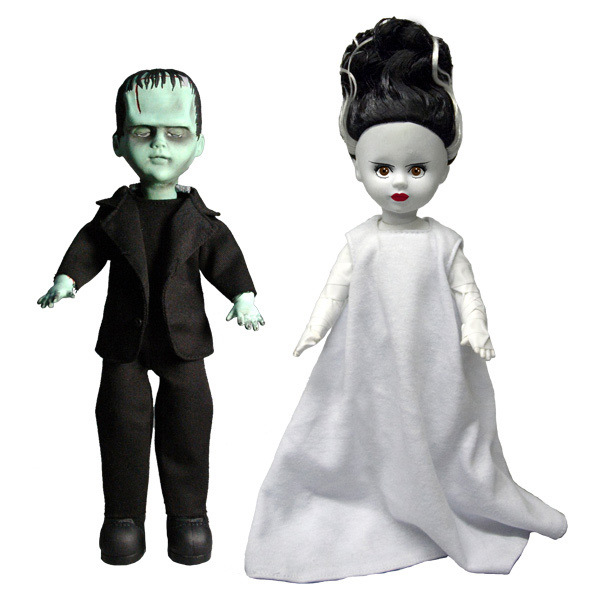 For 2012, Mezco Toyz is supplying the Bride of Jake with a set of the world's longest running, best selling, horror themed collectibles in the world: The Living Dead Dolls.